Let’s rethink the current plastic down cycling ! 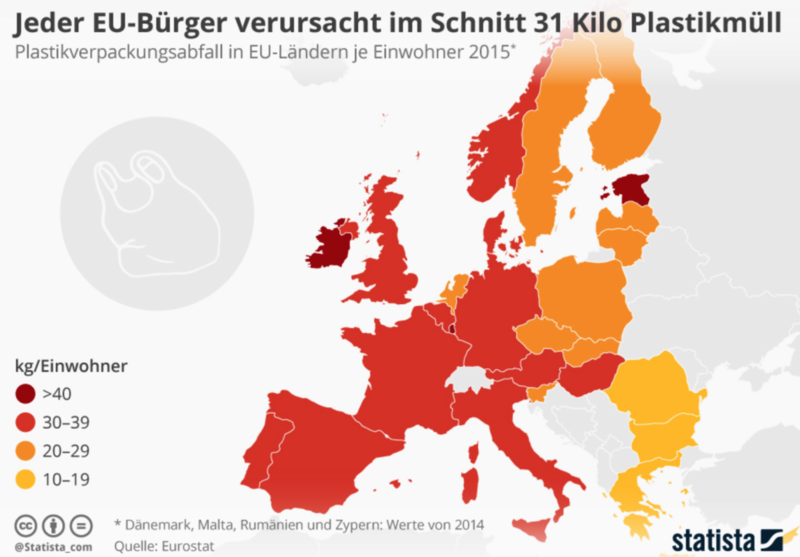 In the EU we all produced in 2015 on average 31 kg of plastic waste, according to data provided by Eurostat. Beyond burning plastic waste, the EU is used to export a significant amount of this waste (87%, according the telegraph( ref 1)). As of this year China, the world biggest importer of plastic waste, will no longer import 24 different waste categories. This leaves us with an opportunity to rethink how we manage this issue in the future. redefine and redesign the plastics (and the use cycle) we currently use, so that they do no longer become waste! Some (maybe most) people think that the easy choice of finding a new country where we could send the waste to, is the best way forward and that there is no real issue. But we have to consider that this is only a short term strategy that will only help us to gain time, until also theses countries understand that this is not a sustainable solution for them as well. The same is true with the second strategy, as long as we continue to recycle at these low quality rates, so that in fact we are NOT recycling but down cycling the plastics. We collect today all the different polyester grades (PET) in 2 different bins (PET bottle grade and one for ALL the rest) , but in the market of technical PET there exist many different high performance applications going from flexible packaging to electronic insulation via hard plastic applications. Even though the base material is PET, the specific product properties are achieved by adding a certain amount of additives. A blend of theses different additives (unknown during recycling) will not allow to achieve a high performance product. So a collection system, based only on the collection of 2 PET grades, nicely illustrates that we will never be able to achieve a high quality recovery, by mixing all theses different grades! So as a conclusion while we will have to work on the product design of materials we will also have to work on the system design which is not effectif in terms of product quality. lower value plastics should be totally designed to integrate (100%) the biological cycle, in order to be composted after use. On a system level, these plastics need to be clearly identified so that they are allowed to be part of the biological waste collection ! higher value plastics should be designed for recycling and change the business model: Not selling a plastic, but offering the service related to the product would allow for higher quality and less complex product design, that for example allow a multiple use, an easy repair, adaptation or upgrade and in the end the return to the producer in order to allow a high quality reprocessing into a new product. I invite everybody to participate with new ideas how the new system should look like if we want to address this fundamental issue. nextPromoting co-creation in urban development!